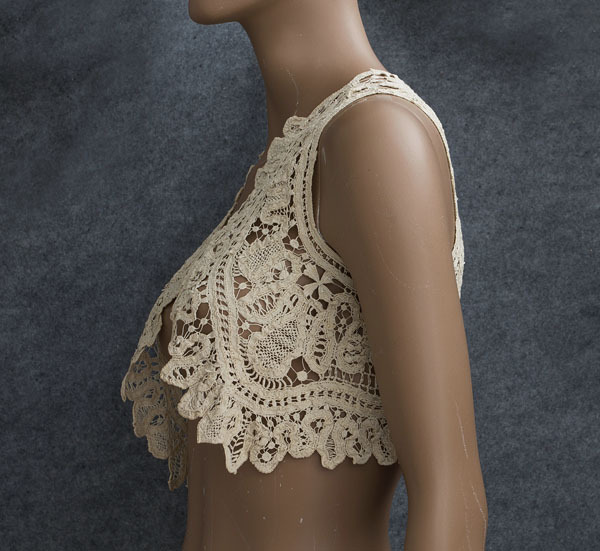 The lovely lace bolero is a great buy if you want the antique look without the high cost of handmade lace. 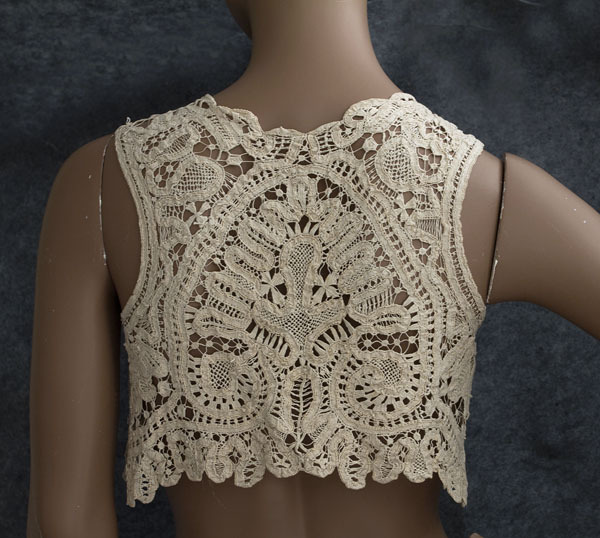 The same vest, fashioned from handmade Brussels lace, would cost at least $700. 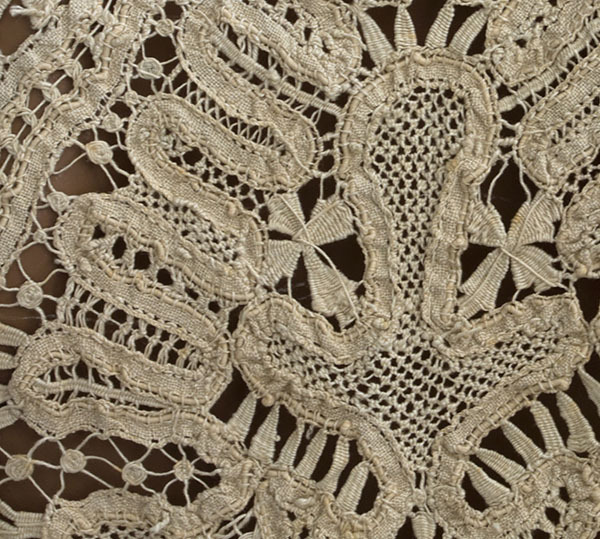 A vintage accessory, like this one, adds a unique accent to your outfit. You can have the one-of-a-kind appeal of couture without the high price. 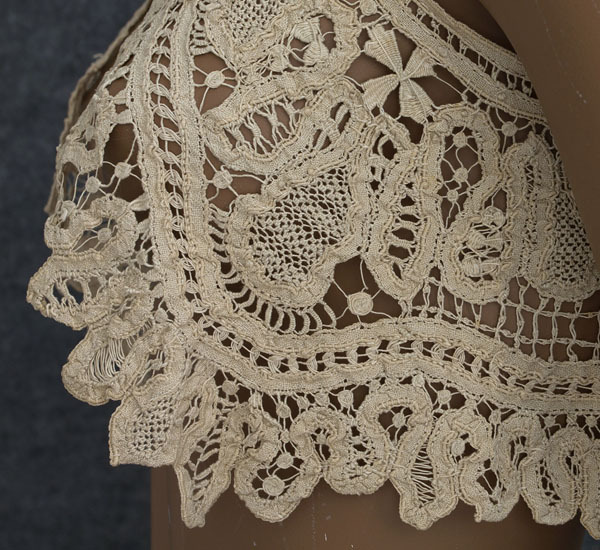 The bolero is hand assembled from beige cotton tapes with fancy fill work and handmade needle lace accents. The open front style has no closures. The detail picture, taken from the inside, shows the high quality of work. It is almost as finished in appearance as the outside. The condition is excellent. The aged surface has a lovely patina. if you prefer a fresher look, just give it a good soak. It measures: 34" bust (it was photographed on a mannequin with a 36" bust), and 11" center-back length.